For some reason this one does not appear on Gritty’s website. Thought maybe I had one too many before I started to write this post but I checked the bottle again and yes it is their Best Brown Ale. This beer is a very dark and hearty brew with tons of flavor and something that would go great with a plate of steak and potatoes. As I mentioned in a previous post Gritty’s from a bottle tastes almost the same as in the brew pub. If you enjoy dark beer with lots of flavor give this one a try. 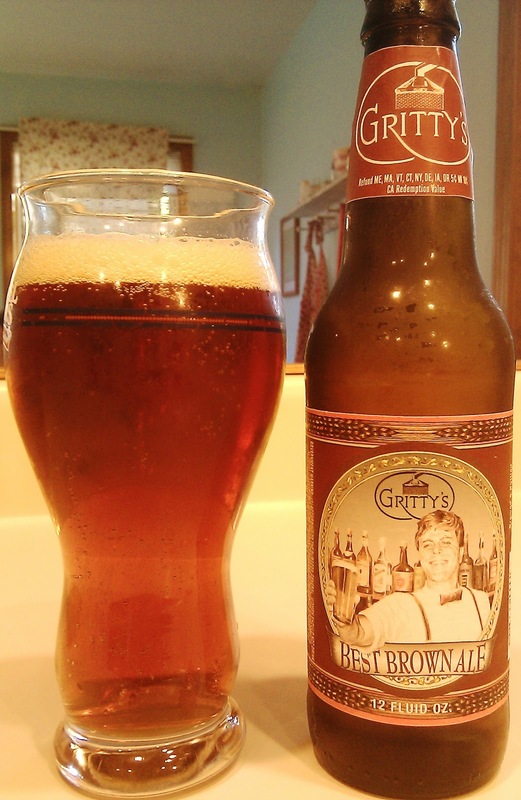 Brewers Description: Gritty McDuff ‘s Best Brown Ale is what the Brits call a fine session beer: a smooth ale, not too strong and full of flavor. Best Brown has a dark red-amber color; a full, round malt palate; nutty and roasted accents, and a delicate hop flavor that whispers with just a hint of floral finish. The perfect ale for a long afternoon in the pub with good friends and traditional fare. 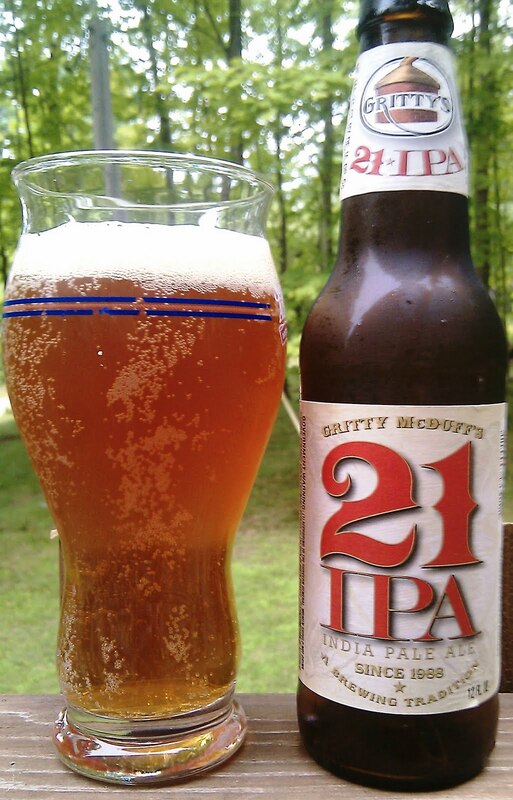 Seems like all craft brewers offer a variety of IPAs and most are very similar in style and flavor. While I am not usually a fan of IPAs, I have to say the IPA from Kennebec River Brewery and Gritty’s IPA may change my mind. This a quality beer with great flavor and a fair amount of bite from the hops but not overwhelming like IPAs often are. Brewers Description: Our flagship ale, this was our first brew ever made in 1997. This copper colored, medium bodied IPA is crafted with abundant amounts of North American malted barley for a full malt flavor. The aggressive bitter bite comes from a generous addition of Nugget hops, with late additions of Willamette hops adding subtle flavor and aroma. (Six packs available in stores year-round). I did not realize there was a brewery at Northern Outdoors in The Forks. I know there is a lot of beer consumed up there during the summer but had no idea they were brewing and bottling their own beer. 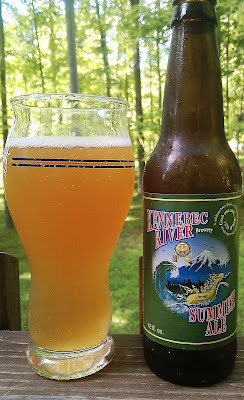 Like many other summer ales this is a light refreshing beer that is easy to drink and perfect for summer days/nights in Maine. Not sure if it was the beer but each time I had 2 of these of these I woke up the next morning with a head ache. That never happens to me so thinking it is something with the beer itself. 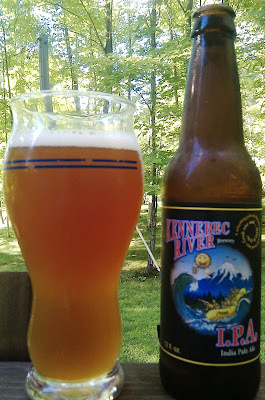 Other than a quality brew from a local Maine company and if anyone knows the people at Northern Outdoors please introduce me as I would love write their insurance coverage. Cons: Headache after drinking?? Was it the beer (I can’t be sure). Brewers Description: A classic American pale ale crafted with domestic malted barley and fresh Cascade hops from the Pacific Northwest. An excellent choice for those new to microbrews, it’s as refreshing as a ride down the Kennebec River! (Six packs available in stores May to September). This is the original and my probably my favorite Gritty’s beer. I love local beer and there is a Gritty’s within walking distance of my office in Auburn, ME. Gritty’s Brew Pub has a great atmosphere and always a good crowd. If you live in or visit Maine be sure to stop by Gritty’s in Portland, Freeport or Auburn. When you stop in be sure to try their sweet potato fries. Original Pub Style is a light copper-colored medium-bodied with a nice dry bite at the finish. A subtle combination of Cascade and Willamette hops give this ale a fine floral aroma and a slightly fruity aftertaste. The taste captures the freshness of a hand-crafted brew pub ale that goes right from the conditioning tank to your glass! 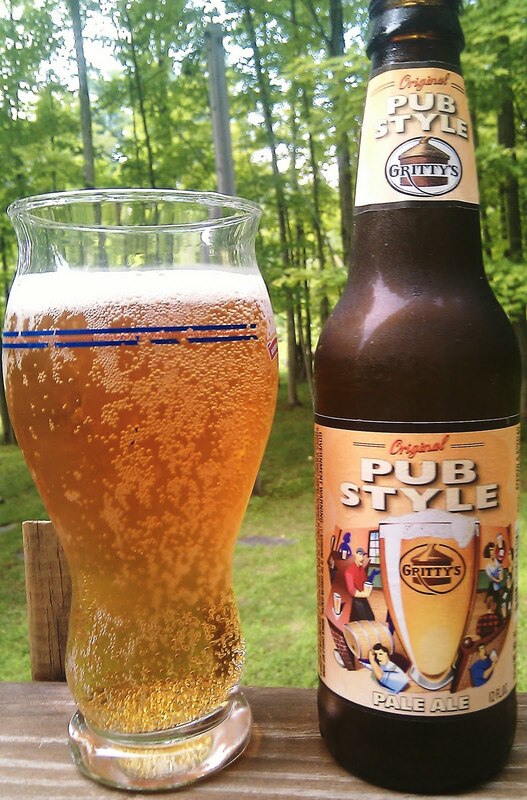 Original Pub Style is a year-round release available in six and twelve packs all over the great state of Maine, and on draft at Gritty’s Portland and Freeport brew pubs. The thing I like most about Gritty’s is the beer from the bottle tastes almost exactly as it does in the brew pub. Maybe it is because it is local and the beer is fresh even at the local supermarket. Their summer ale is typical of many other summer ales, light refreshing and easy to drink. Not my favorite summer ale and not even my favorite Gritty’s style but still a very solid beer for your summer enjoyment. The photo makes it look like it has a lot of carbonation but that was simply a bad pour on my part. 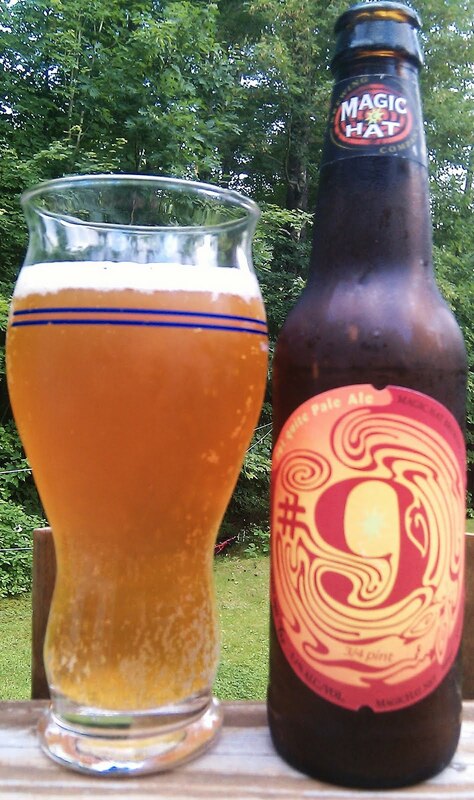 Brewers Description:You can’t put summer in a bottle, but we may have come close! When the weather gets warm we roll out our summer seasonal, Vacationland Summer Ale. Vacationland is an Extra Special Golden Ale that’s light in color but full-bodied, with a snappy hop finish. A bit of extra time in the conditioning tank rounds out and mellows the ale. We use generous portions of pale malt with just a touch of wheat malt to give VSA unique flavor that?s richer than most summer brews. Cascade leaf hops add a delicate and forward hop character as well. 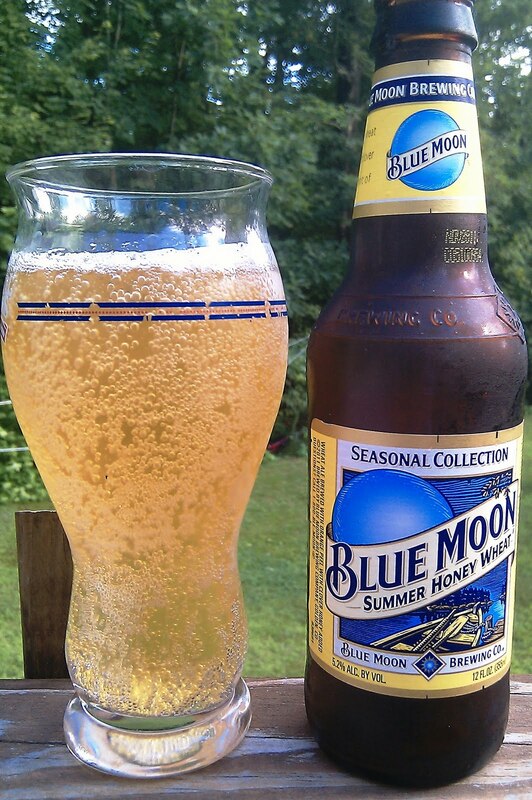 It’s the perfect brew for all things summer. Available April-August on draft, in 6 and 12-packs, 22 oz bottles and 5-liter mini-kegs. This beer surprised me. I had always heard good things about Blue Moon and I bought a 6-pack for my wife who rarely drinks beer. After getting it home it quickly became apparent most of the 6-pack would be mine. It is a light refreshing beer, easy to drink with no after taste. 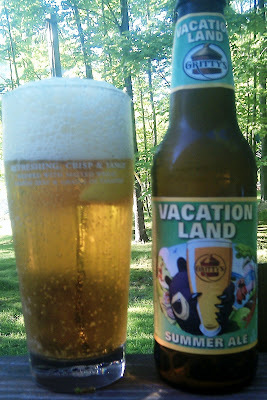 Very nice summer beer and certainly something I will buy again. Brewers Description: Wheat ale crafted with clover honey for a hint of sweetness and balanced out with a touch of orange peel for subtle citrus notes. Pairs with grilled summer fare like pork with honey mustard sauce.